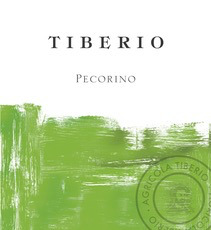 Wine Tiberio Pecorino Colline Pescaresi 2017 - Royal Wine Merchants - Happy to Offer! Pecorino is an ancient white variety that has always called the mountains Appennine ridges of the Marche and Abruzzo its home. A low yielding variety due to sterility of the basal buds, over the centuries farmers shied away from it preferring instead to plant easier to grow, more productive varieites; and so, Pecorino was all but forgotten, and nearly extinct by the 1970s. The wine is rich and glycerol but also endowed with high total acidity, thereby offering a unique combination of texture and vibrancy. Winemaker's Notes With intense aromas and flavors of sage, rosemary, green fig, peach, yellow melon. Full bodied and with a lingering minerality.